Ever since I first watched my first episode of Seaquest at the age of seven and learned what marine biology was, I knew I wanted to be a marine biologist – or at least learn as much about the topic as I could in my spare time. Being born in Hawaii and growing up swimming with wild dolphins and sea turtles, I’ve always been a total water baby, completely obsessed with marine life. But over time, I’ve also developed a passion for ocean conservation and helping dwindling animal populations. 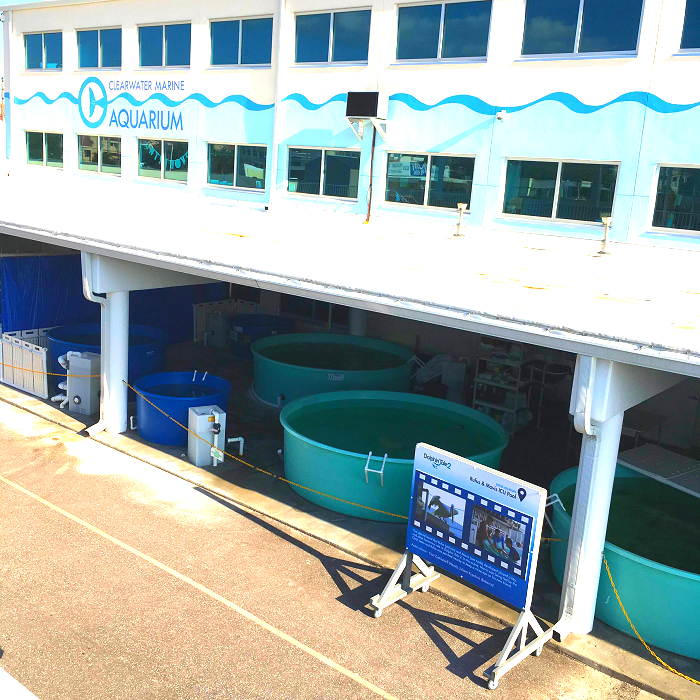 CMA’s turtle rehab tanks – the aquarium is known for rescuing animals, nursing them back to health, and releasing them back into the wild. During my trip to Florida last month to see my friend Bekki, it was my last day when we decided to drive over to Clearwater Beach. 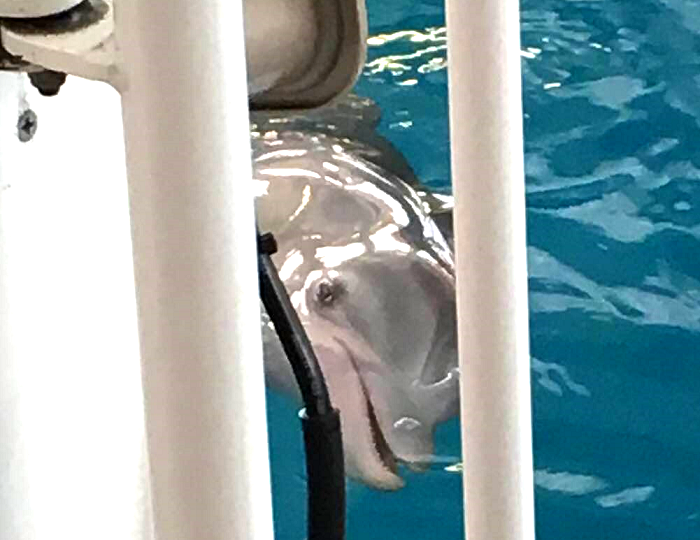 Instead of going straight to the beach, however, Bekki turned into a marina and said we were going to go meet Winter, the dolphin from Dolphin Tale. 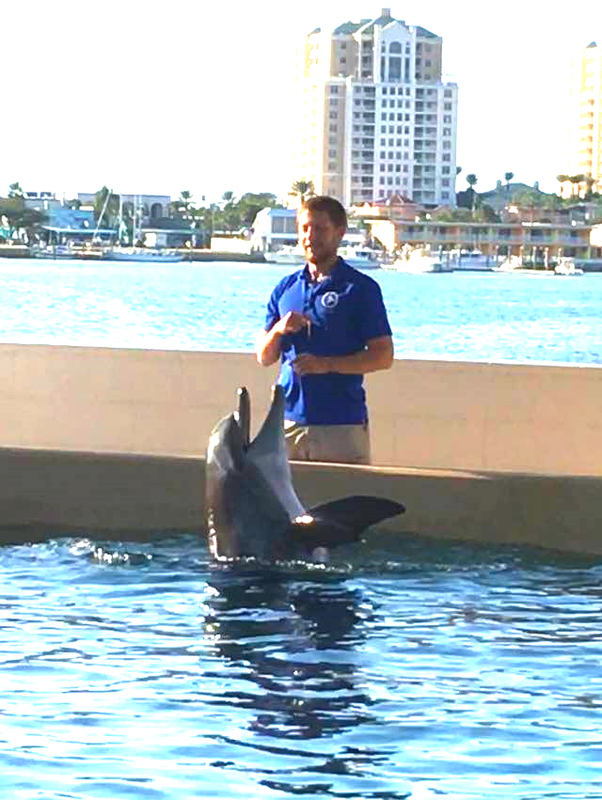 I had no idea I was going to go see dolphins (my favorite animal EVER), so I was like a kid in a candy store once we arrived at the Clearwater Marine Aquarium. Before seeing Winter, we checked out CMA’s turtle rehabilitation center, where the aquarium rescues turtles and preps them to be released back into the wild. We then went to see Nicholas – a dolphin who totally stole my heart. Since he doesn’t have the natural hunting instincts necessary for survival, Nicholas is a permanent CMA resident. But he’s well cared for and thriving, receiving tons of enrichment and bonding time with his trainers. I also like how he’s not being trained for some elaborate dolphin show. Instead, he’s learning basic commands and serves to educate the public rather than entertain them. 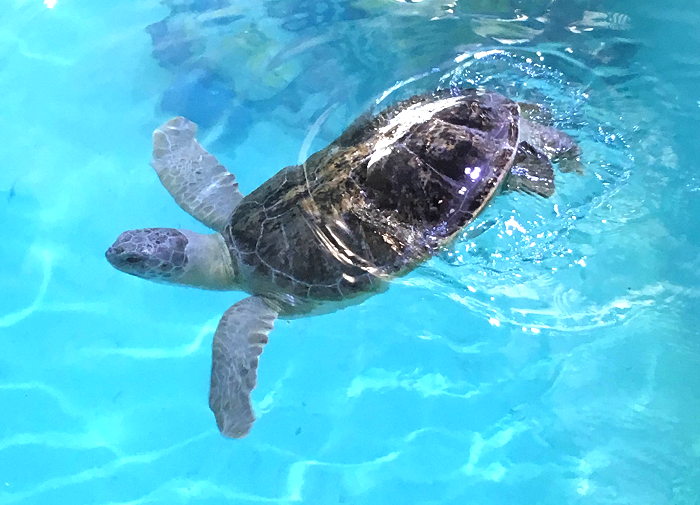 Exploring CMA’s different areas, Bekki and I came across some of the aquarium’s resident sea turtles, including Bailey – a handsome boy with a paralyzed lower half. 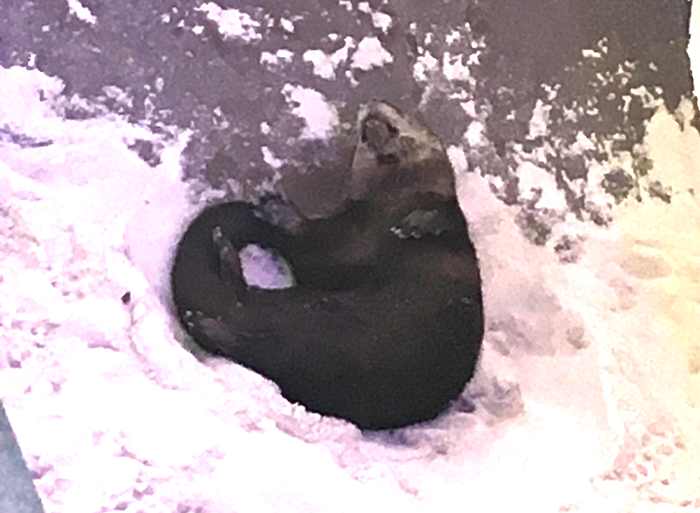 There’s also two adorable resident rescue otters named Cooper and Walle. Walle was passed out when we saw him. Walle is livin’ the good life. 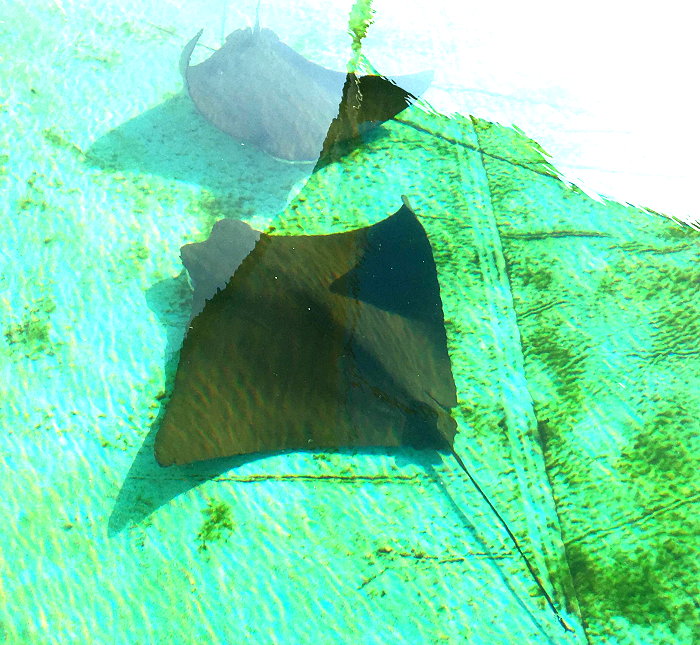 …and I never miss out on a chance to pet some sting rays. I love these beautiful creatures. As the piece de resistance, I finally got to meet the famous dolphin duo, Winter and Hope. I think Winter wanted some quiet time, as she was relaxing in a more private section of her tank. But I walked around to the side to see if I could sneak a peek, and she was sweet enough to play a quick game of “peek-a-boo” with me. Clearwater Marine Aquarium embodies everything I believe aquariums should be – a place of refuge for animals that can’t survive on their own, a rehabilitation center that releases able-bodied animals back into their natural habitat, and a non-profit organization that focuses on education and conservation. Essentially, CMA does it right. And I can’t wait to go back to visit their adorable residents. To learn more about CMA and watch live cams of Nicholas, Winter, Bailey and friends, visit seewinter.com.